Are puzzles in interviews a good idea or a waste of time? 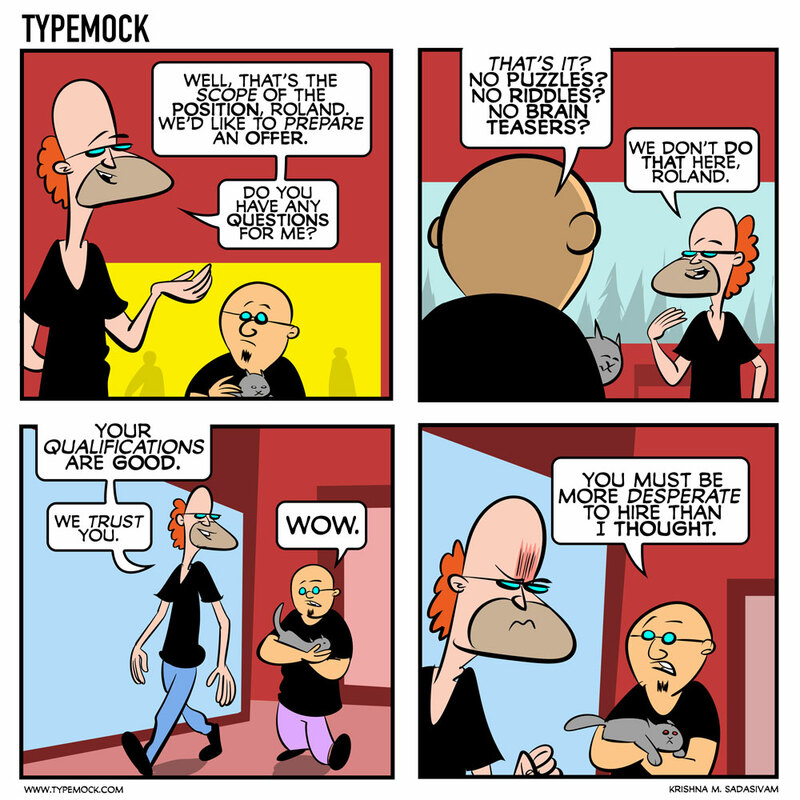 Let's take a look at what the folks from Typemock think in this comic. They are looking for someone that fails more questions so they can lowball the salary. Someone is threatened by you and thinks you could take their job. Also, companies are looking for more of a culture fit these days. The era of the stinky programmer that doesn't get along with anybody is over. I worked at a company that wouldn't hire people that show up in suits because 'We want people to be individuals' (which is bulkshit [sic], what if that individual wanted to wear a damn suit??)" According to David Heinemeier Hansson, creator of Ruby on Rails, he doesn't hire programmers based on puzzles, API quizzes, match riddles, or other parlor tricks. His experience has taught him that the only reliable gauge for the future programmer is looking at real code they've written. What were your most memorable interview puzzles and riddles? Share them in a comment!